What can we learn about elevating our businesses from the Business of Sport? 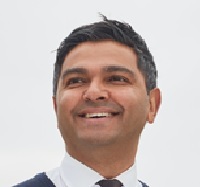 During this show, I am delighted to be talking to Wasim Khan MBE the CEO of Leicestershire County Cricket Club who was the first British born Pakistani to become a professional cricketer in England. We will learn how Wasim, who from humble beginnings (he carved his first cricket bat from a fence panel) became not only a professional cricketer, but also a businessman humbled with a special award and private dinner with Queen Elizabeth II. During the discussion, we will talk about the many lessons Wasim has learnt from the Business of Sport. – How to handle politics, how to lead people and truly engage your customers. Join us for what will be a fascinating encounter with a man, who I can assure you, is an inspiring presence and someone that anyone who sport and business must experience! In 1990, Wasim became the first British born Pakistani to become a professional cricketer in England. In 2005, he was recruited as CEO by Lord Mervyn King, former Governor of the Bank of England, to plan and deliver Chance to Shine, a cricket-education programme in state schools. The charity raised £55 million in 9 years and delivered to over 2.5 million state school children, including 1 million girls. His autobiography ‘Brim Full of Passion’ won the coveted prize of Wisden Book of the Year in 2006.In 2013 he was awarded an MBE for services to cricket and communities. Wasim completed an Executive MBA at Warwick Business School in 2014. He delivers leadership in practice lectures on their MBA programme. He became CEO of Leicestershire County Cricket Club in early 2015. He is currently the only South Asian CEO across any professional sporting club in the UK. He joined the Board of Sport England in October 2016, with responsibility of distributing £1b across sport in England.